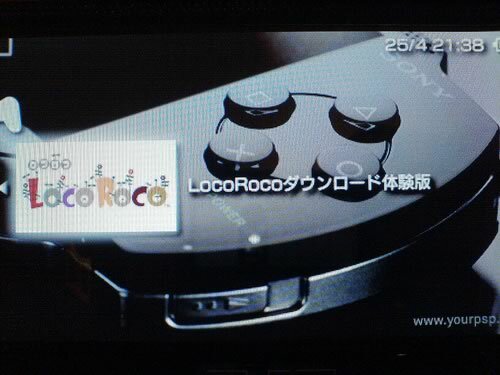 The latest PSP firmware (updates that add new features to the PSP, but also close loopholes used by hackers) was recently released. 2.7 brings Flash support to the web browser and improved music and video playback, but they’re not the real reason to update. 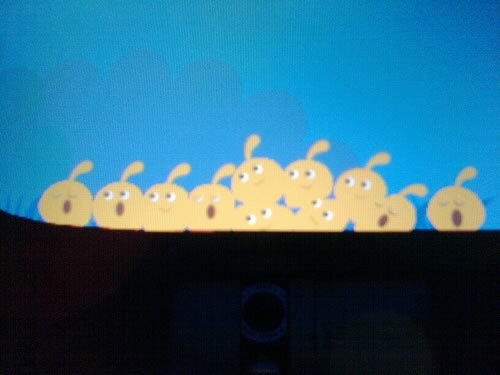 The real reason is Loco Roco, a downloadable demo. 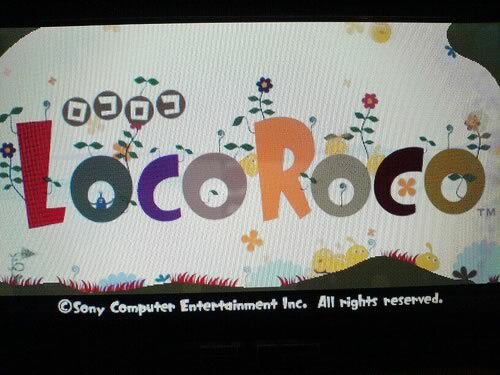 Following the japanese instructions (download the EBOOT.PBP file from Sony’s site, save onto your memory stick in the right location), upon switching on your PSP you will find the following under the Game: Memory Stick option. 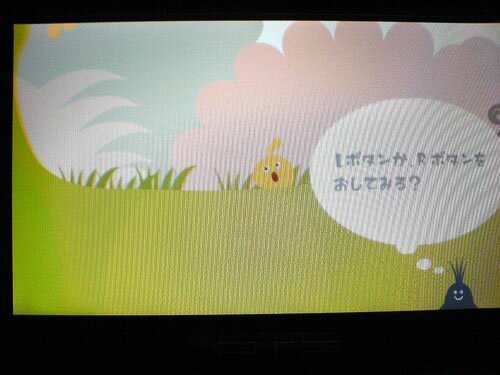 Yes, the game is in japanese, but I’ll explain how it works. 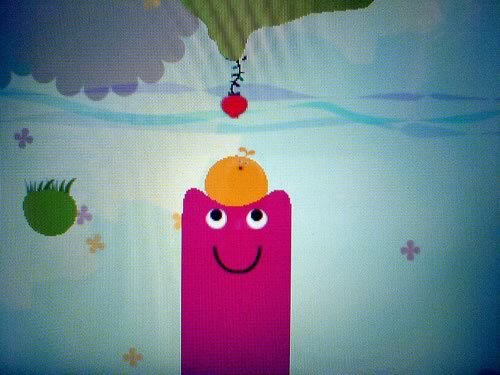 Using just 3 buttons (L+R and Circle) on the PSP, you move the cute little jelly ball thing by tilting the level 30 degrees with the shoulder buttons, jumping by holding one shoulder to go in the right direction, holding and releasing the other shoulder button to charge up a jump. The objective is to find bugs and fruit to eat. Eat one fruit (they all hang from a plant), and shortly after your ball expands. With 19 fruit to find in the demo (many hidden away), you have to try and get them all 🙂 . Eating bugs does nothing specific to your ball, the objective there to try and catch them for points. 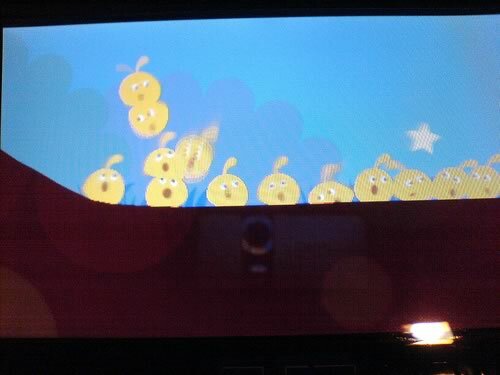 The game is endearingly cute, the more individual balls you have, they start singing individually, they play with each other, try to stack on top of each other, it’s weird and wonderful at the same time, and is cripplingly addictive. This could be one of Sony’s sleeper hits of 2006.